With British temperatures soaring up to 30 degrees this summer, we’ve had to quickly adapt our beauty regimes to suit the soaring climate. With weather mimicking that of countries such as Spain and Portugal, you can easily forget about the level of damage your hair is subject to. Dry heat and humidity can lead to unmanageable, brittle hair which we naturally counteract with different levels of heat to disguise the fact that our hair is unhealthy in the first place. Although straighteners may temporarily mask the frizz and fuzziness which has consumed our head, they’re only contributing to the wild jungle which is our hair. Dry hair not only feels unpleasant, it looks it too. Your hair can quickly lose its shine and vitality can be diminished. No matter how good your genes are, no one is immune to having dry hair; whether you have fine, straight, thick, coarse or curly hair, you could be under threat from this hair threatening ‘condition’. Whether you’re on holiday or simply enjoying our heat wave season, it’s important to remember your hair and adapt your beauty regime to cater to its needs. 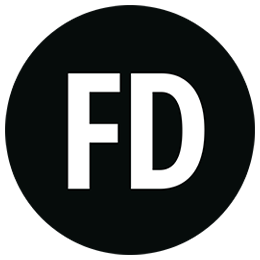 It’s evident that dry hair is primarily caused by lack of moisture. Follow our guide on how to rejuvenate your strands and give your head a well deserved drink. Although you may not want to hear it, your bad hair is self inflicted. A lot of us don’t realise the level of care that must go into achieving those luscious locks that we always long for. Your first steps towards this is to accept that you may not be able to abstain from your long list of heat and colour products that have harmed your hair in the first place. Setting the straighteners down, ditching the peroxide and throwing out your heated rollers are a start but in the long term, you need to make changes to your hair care routine. Let’s start from the bottom and work our way up. Split ends are never attractive and easily snap, leaving hair looking weak and fragile. 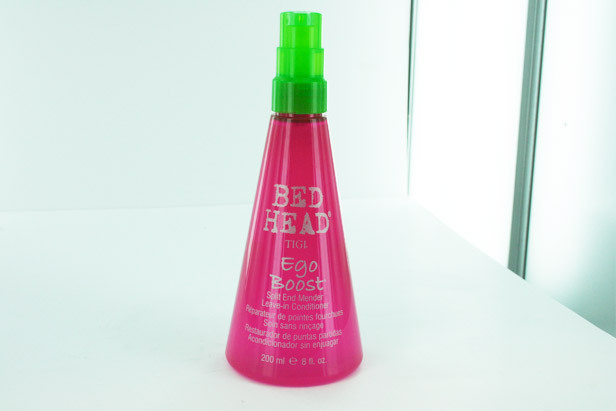 By using a leave in conditioner, such as Tigi Bed Head Ego Boost Split End Mender, you hair will quickly be on the road to recovery. Apply this product to damp hair to seal and protect it whilst still focusing on your split ends. With scents of berry, this split end mender is truly a treat to the hair. Containing a highly conditioned blend of ingredients, this Tigi product will protect the hair from chemical treatments, shampooing and brushing. The added bonus of this treatment is that you don’t have to wash it out after application, so that’s a little less added stress for you! We’ve tackled split ends, but what about the rest of your head? The best way to give your hair that added boost is to enrich it with a hair masque. 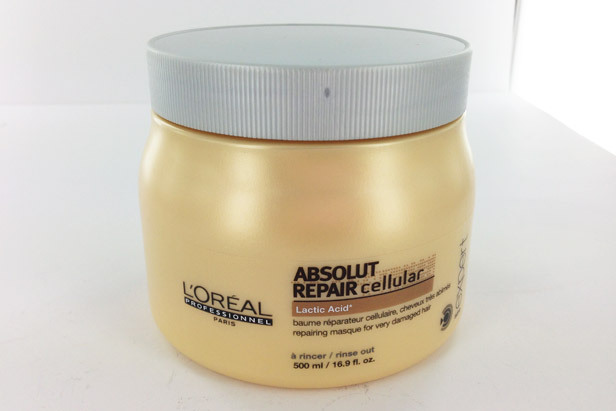 L’Oreal Absolut Repair Cellular Lactic Acid Masque is ideal for damaged hair. With the added ingredient of Lactic Acid, this repair masque is able to create saline bonds between the keratin chains to create a lustrous shine and hair that not only looks healthy but feels healthy too. Apply and massage this into your hair following your shower. Spread it thoroughly, leave for 2-3 minutes and then rinse thoroughly. Oil treatments have proven to be very popular amongst hair care experts. 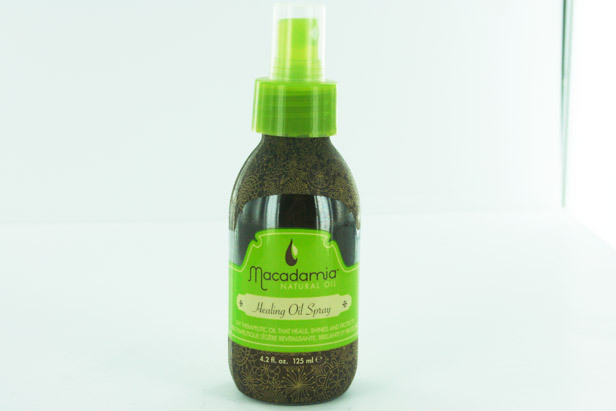 Macadamia Healing Oil Spray combines two hair saving ingredients, known as Macadamia and Argan. These two products are natural and are used to rejuvenate the hair, leaving it healthy and shiny. Up until now, Macadamia was one of the beauty world’s best kept secrets but now it can be found in a range of products. Macadamia Healing Oil Spray is made up of a light, non-greasy formula so that your hair isn’t weighed down when applied. With instant absorption and natural UV protection, this Macadamia Healing Oil Spray truly is a miracle worker. Your hair has hope yet! 100 strokes a day will keep the doctor away? Well definitely not the hair doctor. Over brushing your hair can cause the strands to break, thus causing more split ends, thus creating more damage overall. We realise that telling you not to brush your hair is not a plausible solution so we suggest using a hair brush that doesn’t pull on those knots and tangles so hard! The Tangle Teaser Compact Styler Hairbrush is an essential for any hair care lover. Other than the fact that these brushes are small and compact, their ‘teeth’ are specifically designed so as not to pull on the hair when you’re detangling it, therefore leaving it looking smooth and healthy whilst still protecting the hair cuticle. With a range of cute colours and designs, it’s the perfect hair care accessory. 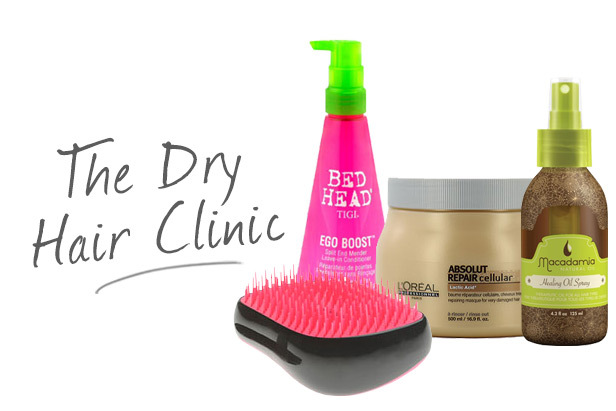 Dry hair is inconvenient, time consuming and unsightly, but one thing it isn’t is untreatable! Take these small but meaningful steps towards achieving healthy, salon quality hair.